SEO is an important part of online marketing. We offer our valued clients high-quality professional SEO services in Toronto. Leave the rest up to us as our experts are trained on the latest guidelines from all major search engines such as Google, Bing, Yandex and Yahoo. Some of the most important SEO elements are the target keywords. Let our team determine the best strategy for all your link building activities to increase your search engine ranking and organic traffic. 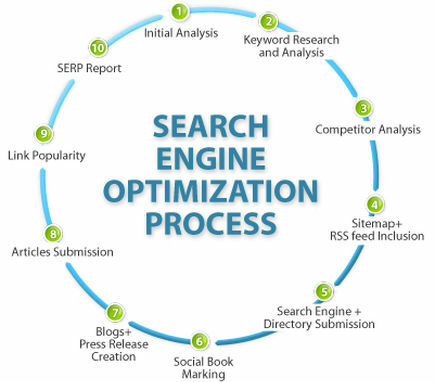 Search Engine Optimization is fundamental to success. Our SEO strategies will earn your site a higher ranking in search results. We’ll provide a full SEO keyword rankings report, a link building profile report, and indexed page information. Our customer focused team will improve your traffic flow and increase sales for your web-based operations. We provide a detailed report of your website SEO performance evaluation, as well as data about your traffic, top referring keywords and a full explanation of your search engine activity. Think of Yopie.ca when choosing professional SEO services agency in Toronto. After we’ve completed the research necessary for your industry and goals, we’ll remodel, rejuvenate and optimize your sites content to target the exact clients you want. Our team of super NERDS will “have at” the coding of you site, fine tuning it into an SEO rocket ship that search engines understand. Let’s not forget security and after that, mobile capability! With Google’s motto being “to provide its users with THE BEST EXPERIENCE POSSIBLE” your site speed is now a ranking factor. Back to the nerds! Yopie’s Professional SEO Services In Toronto Get Results! Having professional SEO services takes the guess work out of a very broad subject. Off page SEO is incredibly important and one must know what they are doing because Google has focused on eliminating the shady methods that many got away with years ago. Google now values the quality of the backlinks and whether they’re from a reputable source earned naturally from someone who might be in the industry. The difference being that any shady practices now get penalized, Google has actually set up a “GOOGLE BEST PRACTICES” outline to keep sites safe and shield them from changes in the algorithm. Engaging content has become the new route to Google’s first page, great content properly optimized and targeted will encourage sharing of your content, creating natural backlinks that appear organically. We know you have choices and appreciate the chance to be your provider of professional SEO services in Toronto. There have been tremendous changes in the search engine optimization industry over the last several years. A while back, ranking high in the search engines was as simple as spamming your content with the relevant keywords, and everybody could do this. However, the process of doing SEO has changed with a lot of preference being given to the quality of the content as well as the backlink profile of the website. SEO is very dynamic and is difficult to keep up with: The SEO industry is ever changing. The major search engines which webmasters and website owners rely upon for free traffic keeps on updating their search algorithms on a regular basis, and if you are not an expert in the field, you may find it difficult to understand and keep up with the changes, leave alone applying them to your websites. Given that Google has over 250 signals that go into ranking your site and further those signals all have many parameters that must be done right or they’ll affect your SEO negatively. The staff at Yopie has years of experience and we’re still always learning in an ever changing industry. We’ve put together an incredibly comprehensive system that combines SEO best practices and the expertise of a combined 32 years of digital marketing experience, bear in mind that digital marketing is about 15 years old. SEO requires lots of high-quality content: Content is a core component of search engine optimization and to achieve stellar results it’s advisable to have a good amount of high quality targeted content on the websites. Content refers to things like articles, videos, infographics, etc. which will be used to pass quality and relevant information to the target audience. As an individual, you may not find it easy to generate this kind of content, either you don’t have the skills to produce them or the resources to get them done. But with professional SEO agencies, they have teams dedicated to creating different kinds of TARGETED content and in the right formats that will be beneficial to the SEO needs of their clients. SEO requires consistency: For effective results in search engine optimization, consistency is very important. This is the only way to keep up with the plethora of algorithm changes and ensure that the websites are compliant with all the requirements of the search engines. Since social media has become a force to reckon with in search engine optimization, it will be necessary to maintain a perpetual presence on the various social sites to continue boosting the SEO rankings and brand awareness of your business. Only agencies with the resources in place truly have the resources alter, monitor and implement the changes necessary to keep up, your web presence is a full-time job and social media is only one small facet of it. Professional SEO services are available: With all the intricacies involved in proper search engine optimization and the fact that there are already professionals ready to take care of all your search engine optimization needs, it sounds logical to let them do their job as you concentrate on other aspects of your business, like making money. Besides, it might take you a lot of time with no guarantees of success given that you are not an expert in the industry and you will have a lot of learning to do along the way. In the years that it will take you to learn and implement all the facets of your web presence you may have lost allot of money, remember that if there’s a good return on investment then it’s a simple decision to find professional SEO services in Toronto. SEO Services – Are They The Answer for Your Companies Online Growth?